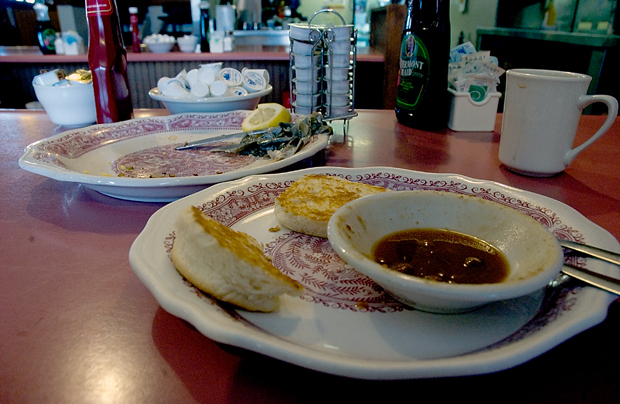 The Maine Guide Breakfast at Augusta House of Pancakes includes trout, eggs, beans, home fries, and a biscuit. On two plates. 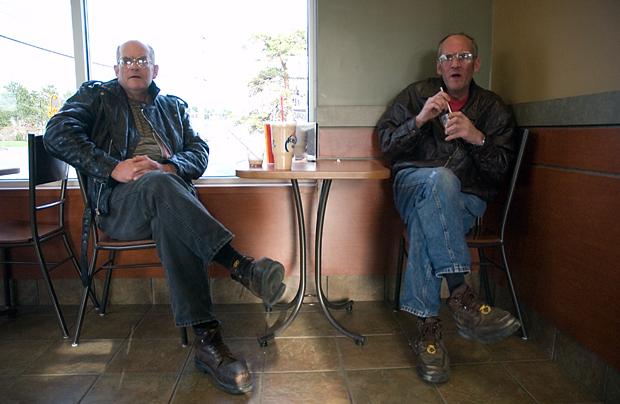 Bruce & Brian, have been identical twins for 48 years. They are from Sidney Maine, but come to Augusta Maine to drink coffee at Tim Hortons. Brian gave me a random piece of advice, "It don't take much to get into trouble. They never tell you that."